As much as 55 percent of people aged 15-35 in Poland believe that their parents, parents-in-law or grandparents are digitally excluded. At the same time, as much as 95 percent of young people want to help their relatives in using the network – according to the “Aasa Report – Activity of older generations on the Internet through the eyes of the young 2018”. 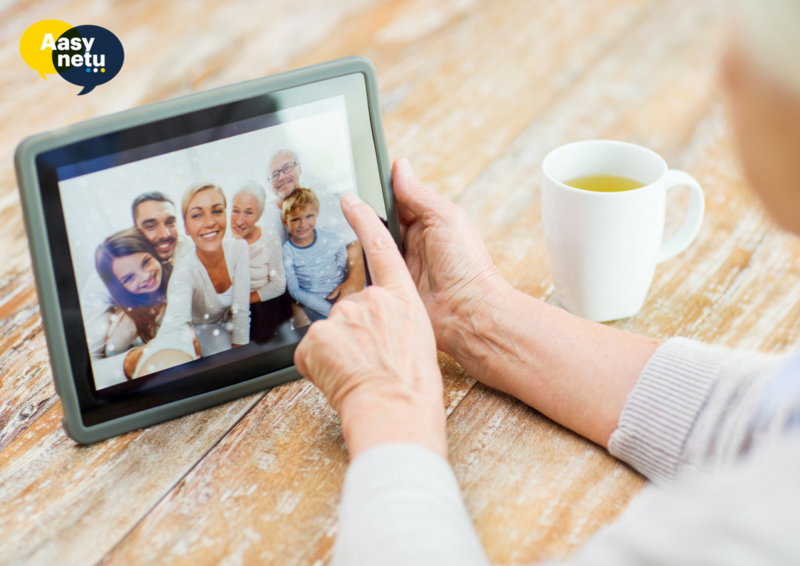 For this reason, Aasa Polska launches the second edition of the nationwide educational campaign called “Aasy Netu” (“Aases of the Net”), aimed at the digital activation of mature people, with the support of younger generation. As part of the new edition of the “Aasy Netu” campaign, the problem of digital exclusion of mature people is presented from the perspective of their children and grandchildren. In order to check how young generations approach this problem, in cooperation with Kantar Public, a public opinion research centre, a survey of people aged 15-35 was carried out. Its results were published in the “Aasa Report – Activity of older generations on the Internet through the eyes of the young 2018”. Once again, Aasa Polska provided free educational materials, which in a practical and accessible way, step by step, show the elderly how to use the network, and encourage their children and grandchildren to accompany their relatives in learning. Thanks to the videos available on the aasynetu.pl website, older people will learn, among other things, how to start using online banking, shop online and, which is very important, how to stay safe on the Internet. Videos have their equivalents in the form of educational materials that can be downloaded and printed and then used for common learning. The site also offers tutorials from last year’s campaign, presenting methods how to write emails, use Facebook, chat online or search for information on the Internet. “I am convinced that within the framework of cooperation of generations, appropriate motivation and with a wide access to free educational materials that we provide, a large part of mature people can become Aases of the Net. Let us help them develop digital competencies so that they can more easily and more frequently communicate with their loved ones, develop their interests and improve quality of their lives,” concludes Ovais Siddiqui, CEO of Aasa Polska. The online education campaign called “Aasy Netu” was initiated by Aasa Polska in June 2017 as part of the corporate social responsibility activities. The idea behind the campaign is to help people over 45 years of age to learn how to use the Internet, as well as to encourage younger generations to actively support their parents, parents-in-law and grandparents in learning – so that they can be closer to the world and their loved ones. “At Aasa, a company based on advanced technological solutions, we are fully aware of the fact that access to the Internet is a condition of full participation in social, cultural and professional life. Especially in the case of a growing population of mature people in Poland, a significant part of which is struggling with digital exclusion,” says Ovais Siddiqui, CEO of Aasa Polska. The group of partners of this year’s “Aasy Netu” campaign includes:Responsible Business Forum (Forum Odpowiedzialnego Biznesu), e-Safe Foundation (Fundacja e-Bezpieczni), Conference of Financial Companies in Poland (KPF – Konferencja Przedsiębiorstw Finansowych w Polsce) and Manko Association (Stowarzyszenie Manko) respectively. Methodology of the study entitled “Activity of older generations on the Internet through the eyes of the young 2018”: the survey was conducted in April 2018 by Kantar Public on behalf of Aasa Polska, with the CAWI method (Internet interviews), on a nationwide group of 1000 people aged 15-35 who have parents, parents-in-law and/or grandparents.